Deep within the land of Lunari, humans are no longer the top of the food chain. There are creatures that move amongst them, hiding in the shadows and searching for a better life. Technology has advanced over the last hundreds of years; more and more "different" species are coming out of hiding. Having declared war on everyone else, the humans wish to destroy anyone who is different. 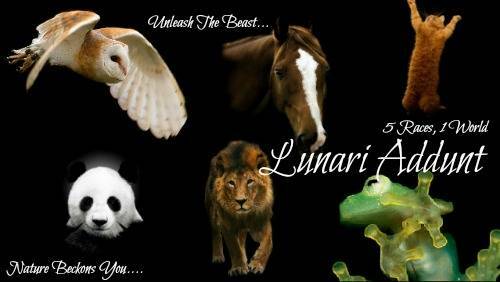 Come and see what Lunari can offer you! Race among the forest with the Shifters, howl to the pale moon with the Werewolves, sneak about the house with the Mora, hunt the creatures with the Humans or even dance with the Vampires below the stars. You can find me @Noble Connor on there!